Sebastian Rennie is taking on the 2019 London Marathon on Sunday 28th April. Seb is raising funds for the LDN Connect Olympians Group. 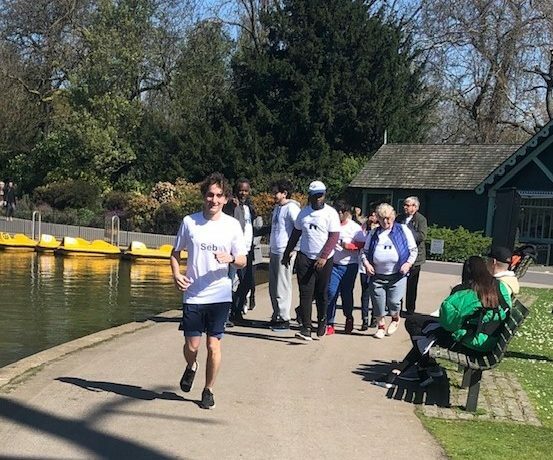 On a sunny Spring day in Regents Park some of the members of the group met with Sebastian for a quick jog around the park. 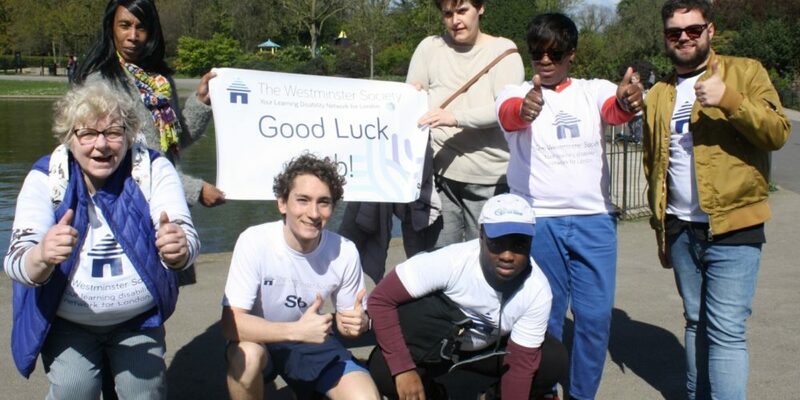 Seb, whose home is in Camden, London, is raising funds to set up the Westminster Society’s LDN Olympians. This sports group will then become part of the charity’s Learning Disability Networks activity projects, aiming to improve general health, quality of life, well-being and self-esteem. 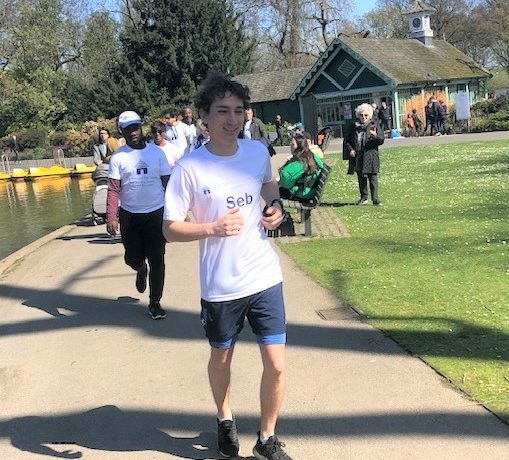 Seb’s choice of helping the LDN Olympians reflects his own impressive sporting record: age 8 he was one of the youngest in the Sport Relief run from Blackfriars to Parliament Square, he later competed for Camden and was 6th in the National Gymnastics championships. He regularly won in the London Youth Games. In 2013 he came first over 5 km in the City of London School road race and 2014, played water polo for his school and now plays for Manchester University. The aim of this group is to get people with learning disabilities get out and about and access a range of sports events and activities. Inspired by the Olympics in London in 2012 The Westminster Society ran the first LDN Olympians group and due to popular demand they are aiming to run the group again. From talking and listening to people with learning disabilities, their carers and family members The Westminster Society create and develop their services. Last year a number of people asked for more sports related activities. Having a place to go, meet friends and take part in activities helps reduce social isolation, increasing inclusion and enable people with learning disabilities to develop individual life skills and raise health awareness, encouraging people to be more active and involved. Taking part in group activities, such as playing and watching sports together has many advantages for people with learning disabilities, and can improve general health, quality of life, well being and self esteem. Registered Charity Number 801081 • Reg Number 2325273 • © The Westminster Society for people with learning disabilities.